Gov. 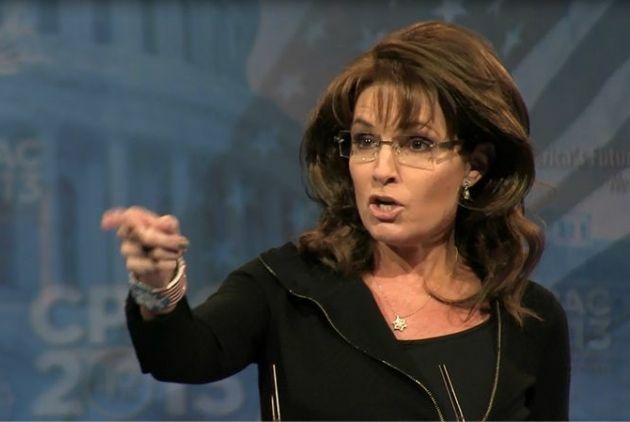 Palin to Obama: Whose side are you on? In debauched minds it is fine for our young, once potentially unifying President to boast, “I’m pretty good at killing” while speaking of his own secret kill list, but all hell breaks loose if America’s expert and experienced CIA keeps known terrorists up at night for questioning, plays annoying music to get the evil ones’ attention, and considers whatever else necessary to keep us safe. (Yuck it up much, Nobel Peacenik President?) From the cozy confines of the White House he blusters a willingness to assassinate whomever he chooses, no need for judicial balance or seasoned military brass strategy – in fact the Community Organizer canned nearly 200 of our top military officials. And leftist response to their leader’s suspiciously opaque drone game plan? Crickets. Mr. President: newsflash ignored by your yapping lapdogs – many of our finest whom you unprecedentedly refer to as “YOUR” own troops confide that the only thing legitimizing your being Commander in Chief is that puffed up leather coat you sport with an embroidered title on your left breast. They want to respect you; they know to obey you; they deserve better. Want to talk “torture”? Evidence #1: Innocent Americans tortured and murdered by guilty terrorists on 9/11. Note the accurate terms “innocent” and “guilty”. Innocent 9/11 families are still tortured. Torture is slicing off the heads of investigative journalists and American charity workers serving in the Middle East who are used as political pawns. Torture is what radical Islamists routinely do to women and minorities. You’re on one side or the other. What is it, liberals: sympathy for inconvenienced terrorists who would murder our children or saving America? On “Cashin’ In” today, Eric Bolling slammed the “torture report” that details the CIA’s enhanced interrogation methods following 9/11.